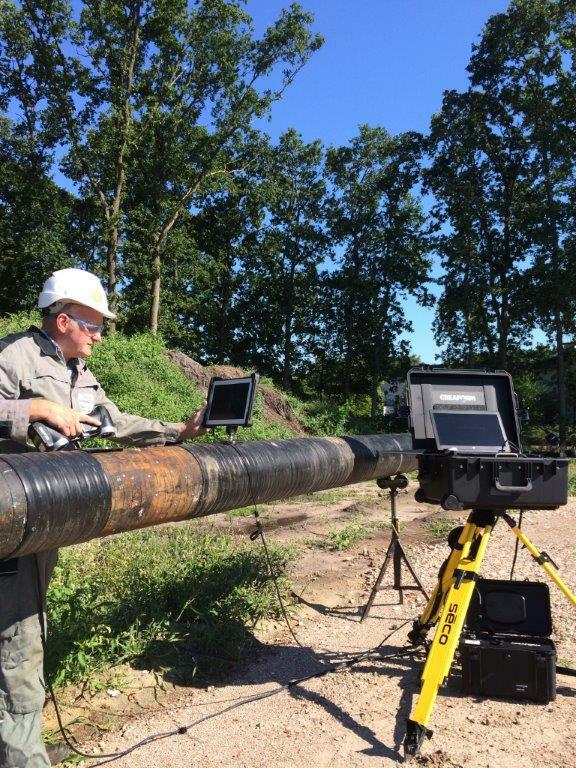 Lévis, Canada, February 20, 2019 — Creaform, a worldwide leader in portable 3D measurement solutions and engineering services, today announced that it is extending its dimensional management services to its entire global audience. Dimensional management is an engineering methodology used for preventative quality assurance, which ensures the functionality, producibility, repeatability and performance of any given product according to specific requirements. This proven methodology allows manufacturers to guarantee quality while mitigating production waste and costs as well as product returns. Leinfelden-Echterdingen, Germany, May 23, 2018—Creaform, a worldwide leader in accurate portable 3D measurement solutions and engineering services, has launched Creaform ACADEMIA™, its completely new academic suite of 3D measurement solutions designed especially for the academic market. Creaform ACADEMIA offers a didactic suite for forward-thinking teachers and researchers, who are looking to inspire, collaborate and push the innovation envelope forward using latest industry technologies. Metrologic Group and Creaform have entered into a partnership in which Creaform integrates Metrologic Group’s software suite with its new CUBE-R™ 3D automated dimensional inspection solution. This laser scanning, all-in-one solution features Metrologic Group’s advanced 3D measurement programming and inspection software packages, Silma and Metrolog X4 i-Robot, and combines efficiency and reliability of robotization in an automated industrial measuring cell. The CUBE-R is an off-the-shelf, fully integrated, automated 3D inspection solution designed for manufacturing companies requiring automated quality control directly on the shop floor. It optimizes the MetraSCAN 3D-R™ metrology scanner with the use of Metrologic Group’s robot-dedicated measurement software, Metrolog X4 i-Robot. 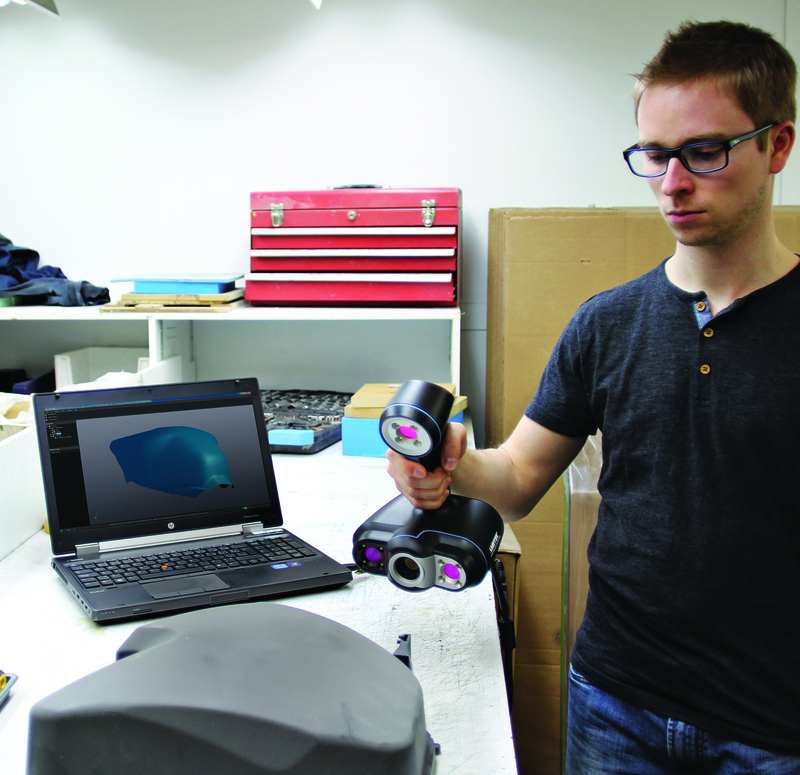 The solution thus provides a flexible plug-and-play, alternative to coordinate measuring machines and other robot-mounted, structured-light 3D scanners. Leinfelden-Echterdingen, April 16, 2018 — Creaform, a worldwide leader in accurate portable 3D measurement solutions and engineering services, has launched the CUBE-R, a new generation of complete turnkey automated dimensional inspection solution. The new optical 3D measuring machine capitalizes on the MetraSCAN 3D-R metrology scanner and combines efficiency and reliability of robotization in an automated industrial measuring cell. 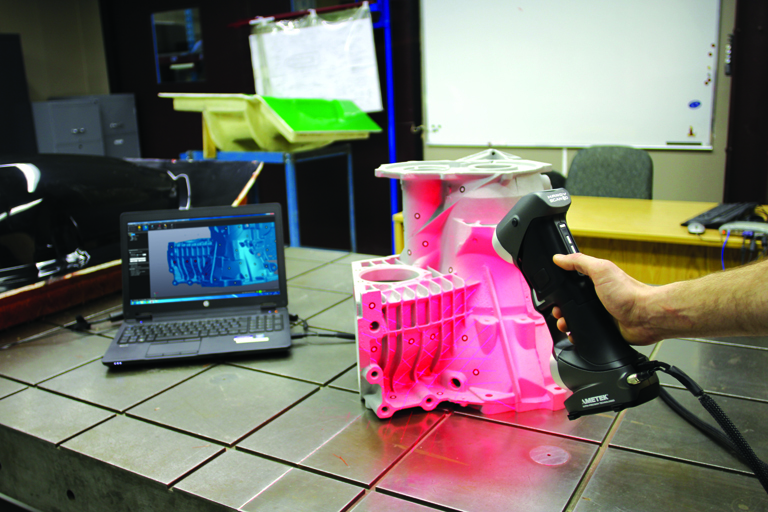 The CUBE-R extends the 3D digitizing and inspection capabilities of the MetraSCAN 3D for the dimensional measurement of parts ranging from 1 m to 3 m with metrology-grade volumetric accuracy in real-life shop-floor conditions. Unlike conventional systems, the CUBE-R delivers both speed and volumetric accuracy. In addition, it ensures a significant increase in productivity. The CUBE-R offers a realistic and comprehensive alternative to coordinate measuring machines (CMM) and other robot-mounted, structured-light 3D scanners. Quebec City, April 4, 2018 – Creaform, the world leader in portable 3D measurement solutions and engineering services, is proud to be the title partner of MLab Creaform, the new digital laboratory at Musée de la civilisation du Québec announced at a press conference this morning in the presence of the Minister of Education, Recreation and Sports and Minister responsible for the Capitale-Nationale region, Sébastien Proulx. As title partner for the next five years, Creaform and its 3D scanners will help make digital culture available to all audiences. Innovation and popularization of digital technology MLab Creaform is an experimental laboratory devoted to innovation and creation. It brings technology and culture together in a way that has all the markings of Musée de la civilisation’s audacious take on society while also fitting with Creaform's founding vision: to revolutionize the world of 3D digitization by making technology easier to use, more accessible, and more affordable. The program is aimed at spurring innovation and creativity—and visitors can try it out free until Labor Day. Awakening interest in technology The digital laboratory also has a training and education function. Creaform offers special programs to educational institutions to facilitate access to its technologies for research and teaching. “We are very proud to see the Creaform name associated with a local institution of international stature such as Musée de la civilisation," added St-Pierre. Lévis, Québec, February 6, 2018—Creaform, a worldwide leader in accurate portable 3D measurement solutions and engineering services, has launched the R-Series Productivity Station and the R-Series Autocalibration Kit. Both are key upgrades to its robotic metrology dimensional measurement solution, which offers an efficient alternative to traditional shop-floor CMMs. The MetraSCAN 3D R-Series solution enables manufacturing companies to combine both optical measurements and industrial automation, to ensure reliability and increase inspection cycles. The solution provides actionable results with a smaller factory footprint, facilitating integration into any factory. Creaform develops, manufactures, and sells 3D portable measurement technologies and specializes in engineering services. The company offers innovative solutions, such as 3D scanning, reverse engineering, quality control, non-destructive testing, product development, and numerical simulation (FEA/CFD). Its products and services cater to a variety of industries, including automotive, aerospace, consumer products, heavy industries, health care, manufacturing, oil and gas, power generation, and research and education. Along with its headquarters and manufacturing operations in Lévis, Québec, Creaform operates innovation centers in Lévis and Grenoble, France, and has direct sales operations in the United States, France, Germany, Italy, Spain, Brazil, China, Japan, Thailand, Korea, and Singapore. Creaform is a unit of AMETEK Ultra Precision Technologies, a division of AMETEK Inc., a leading global manufacturer of electronic instruments and electromechanical devices, with annual sales of $4.3 billion.